Grow trusted customer relationships by delivering outstanding project experiences. 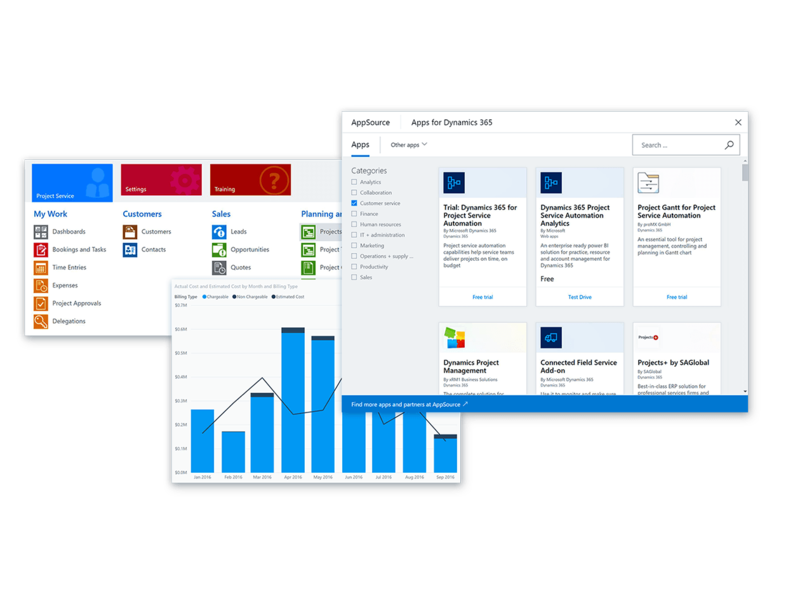 Microsoft Dynamics 365 for Project Service Automation empowers you to deliver profitable projects on time and within budget while improving employee productivity. Run your project-based business more productively by bringing people, processes and automation technology together through a unified experience. Plan and deliver successful projects using a customer focused service delivery model. Anticipate resource demand and ensure the right resources are on the right projects. Prioritise project based sales opportunities with built-in intelligence to plan for the best outcomes. Empower your service employees to deliver their best through intuitive and collaborative tools. Drive innovation with an application that's easy to tailor, extend, and connect to other applications and services you already use. Ensure project deliverables reflect the contract terms, approved work items, and expenses. Visualise accurate cost, effort, and revenue. Achieve predictable project delivery using project planning features including native Microsoft Project integration. 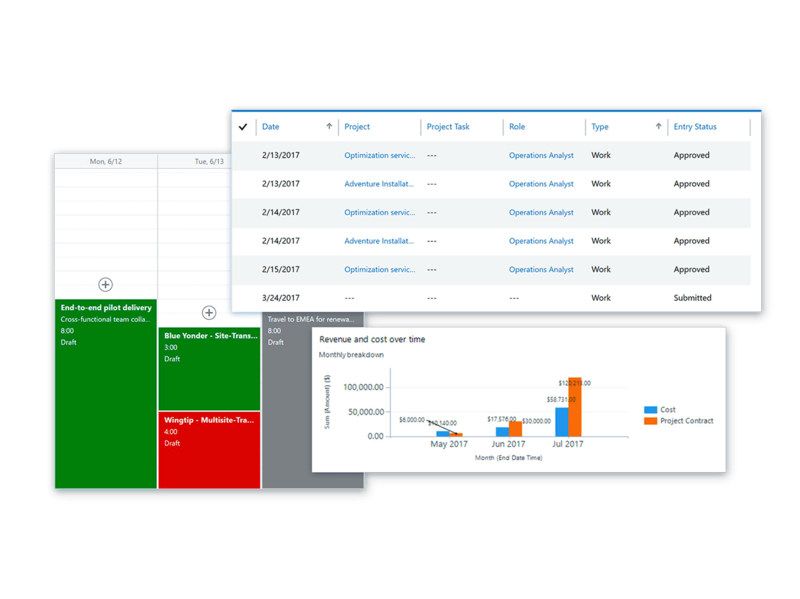 Provide project managers with dashboards to review, monitor, and approve all costs and time involved in their projects. Enable intelligent and relevant skills-based assignments with visibility to resources using a unified scheduling tool. 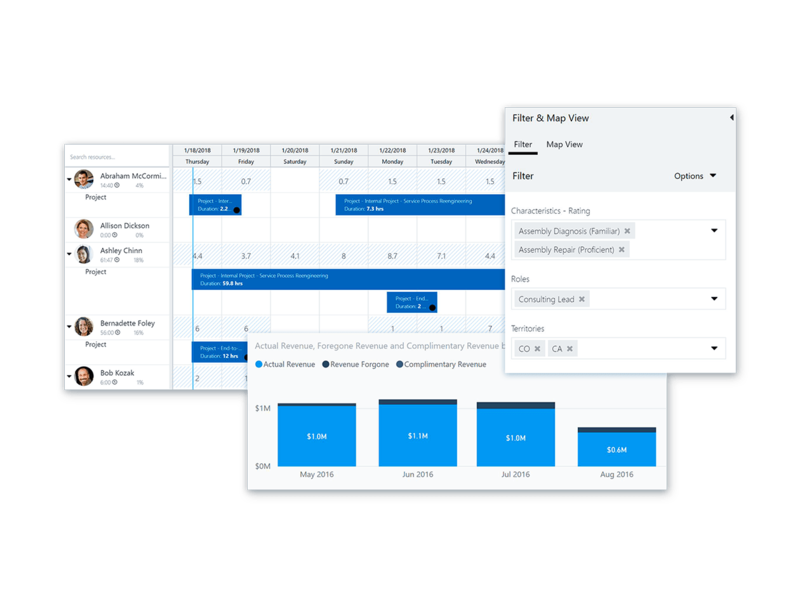 Accurately measure utilisation and make informed decisions to get the most our of your billable resources using real-time dashboards. Allow consultants and subcontractors to update their skills profile and apply for relevant projects directly. 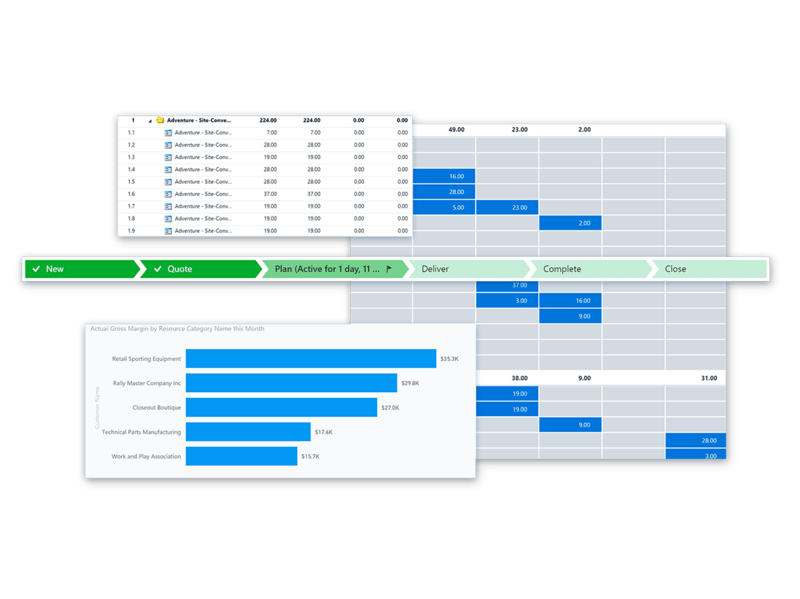 Prioritise deals using a sales management dashboard that brings together product and project based opportunities. Engage directly with your customers regarding quotes, project scope, and resource requirements through a secure portal. 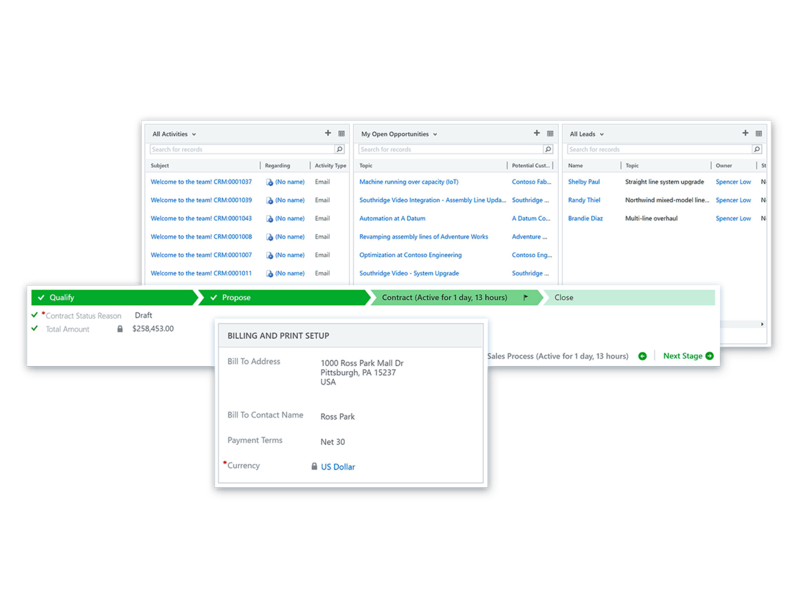 Ensure seamless sales collaboration by creating project contracts, tracking rates, and generating statements of work directly within Microsoft Dynamics for Sales. Use collaboration across project teams using audio, video, and document management with Microsoft Office 365 integration. Respond quickly to project scope and risk changes by managing critical key performance indicators to ensure profitable service delivery. Submit, approve, process and reconcile project time and expenses anytime, anywhere for timely billing. Accelerate your time to market and adapt the app to your own requirements with visual editors and tools that make it easy to build and deploy web and mobile applications. Automate processes across Dynamics 365 apps and 3rd party systems. Rely on the Microsoft cloud platform to reduce the cost and complexity of operating a worldwide infrastructure. Enhance your customer interactions with insights from AI to help guide your teams to the right business outcomes. Contact us to discuss your Microsoft Dynamics 365 for Project Service Automation requirements or for further information.